God's Kingdom covers all things in its scope, and its immediate ministry includes, according to Scripture, the ministry of grace (the church), instruction (the Christian and homeschool), help to the needy (the diaconate), and many other things. 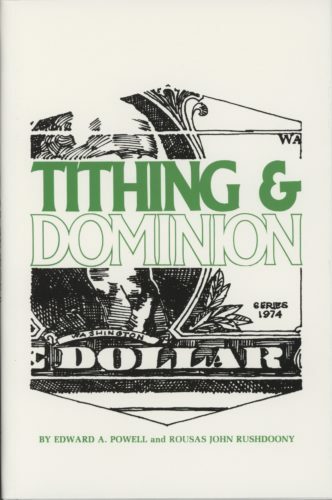 God's appointed means for financing His Kingdom activities is centrally the tithe. This work affirms that the Biblical requirement of tithing is a continuing aspect of God's law-word and cannot be neglected. This book is "must reading" as Christians work to take dominion in the Lord's name.